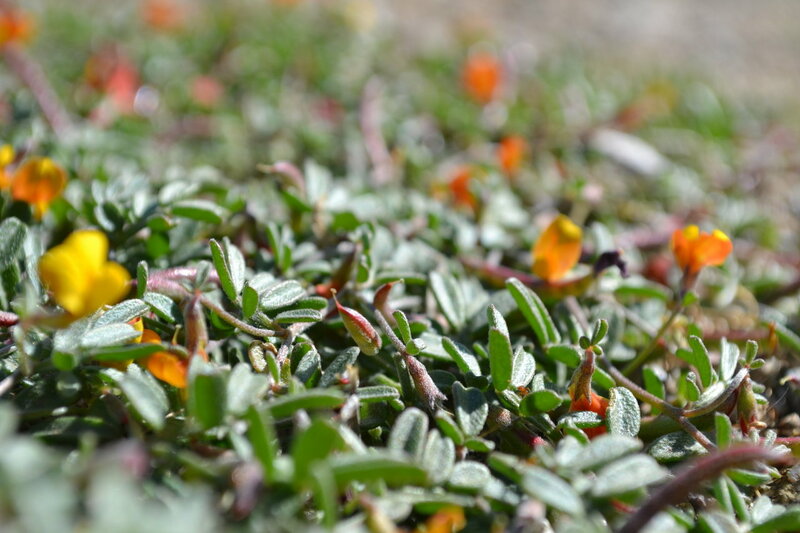 Beautiful things can happen when plants surround themselves with the right microbes. A study on Acmispon strigosus, a plant in the pea family, showed a 13-fold growth increase in plants that partnered with a highly effective strain of the nitrogen-fixing bacteria Bradyrhizobium. The ability of plants to use beneficial microbes to boost their growth is not lost on agronomists. Some breeders think understanding the traits that enable crops to recruit top-performing microbes is key to the future of sustainable agriculture. A roadblock in capitalizing on the beneficial work of microbes is the complex genetic and environmental factors that govern their role in plant growth. Left unattended, plants don't always recruit beneficial microbes, instead surrounding themselves with a mix of both helpful and ineffective bacteria. Attempts to manage the microbial populations plants encounter in the soil—by inoculating with beneficial strains—have largely failed. 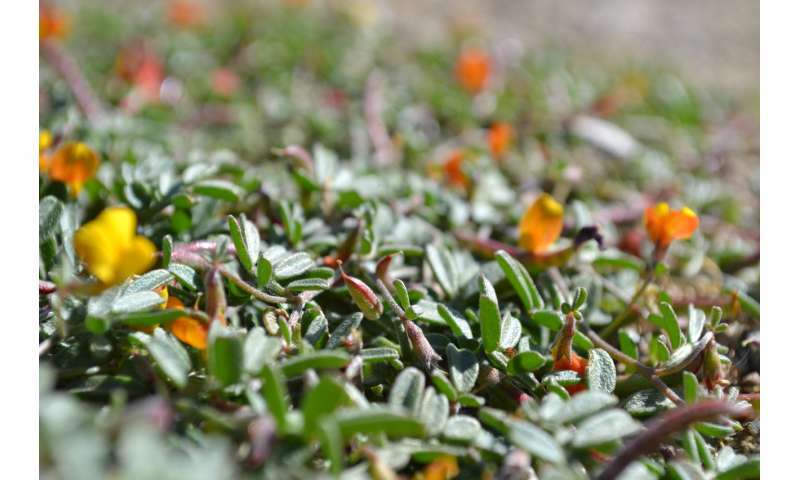 "It is very difficult to predict which combinations of microbes will be successful under field conditions, since the microbes that are beneficial to plants in the lab do not always compete successfully against microbes that already exist in the field," said Joel Sachs, a professor of evolutionary ecology at the University of California, Riverside and member of the university's Institute for Integrative Genome Biology. "A promising alternative is to breed plants that are better at managing their own microbial partners, an advancement that will be passed down to future generations." In a study published today in New Phytologist, Sachs' team has advanced our understanding of how plant genetics and environmental factors affect microbial soil populations in the field. The paper's first author is Camille Wendlandt, a graduate student in Sachs' research group. The researchers investigated whether Acmispon strigosus (the pea plant) changes how it associates with different strains of nitrogen-fixing bacteria when its environment changes. Surprisingly, they found that changing the plants' environment by fertilizing the soil did not change how plants associated with microbes. 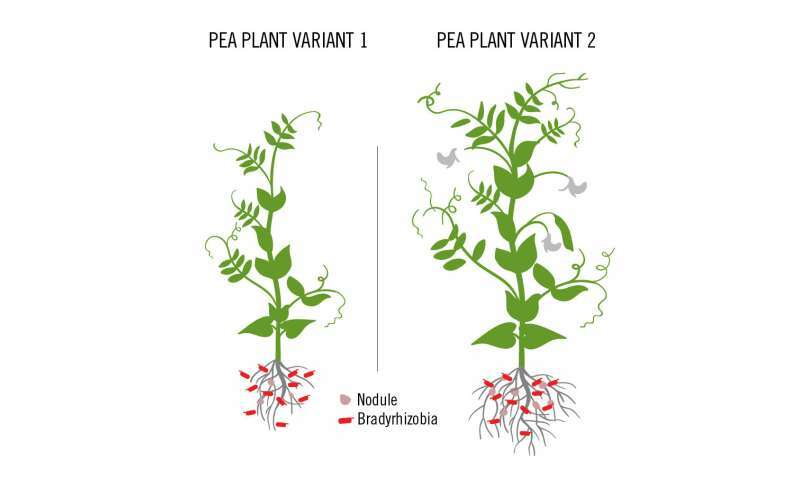 Instead, the researchers found that genetic variation between the pea plants was most important in explaining whether plants invested in relationships with the most beneficial microbes. In other words, some variants of the plant are better than others at developing these beneficial partnerships. 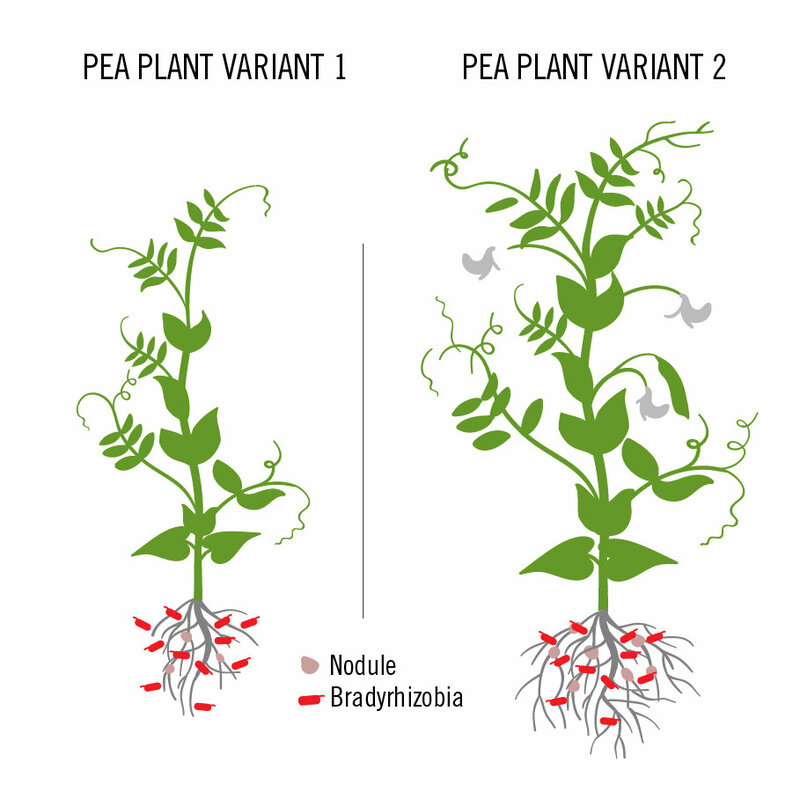 The variants of pea plant that were best at investing in beneficial microbes also had very high growth benefits, in contrast to other pea plant variants that did not invest as much and gained less growth benefit. "The fact that the traits that govern these partnerships vary between plants of the same species and are heritable shows that they can be selected for by breeders," Wendlandt said. "Ultimately, we hope that agronomists will use this research to develop plant varieties that make the most of the soil microbes they encounter. This could reduce reliance on chemical fertilizers, which are expensive for growers and can pollute the environment." Future work in the lab will focus on whether the pea plants still show genetic differences when they interact with much more complex microbial communities, similar to what they encounter in field soils. The lab is also expanding its research to ask similar questions with cowpea plants, which are an important legume crop in sub-Saharan Africa. The title of the paper is "Host investment into symbiosis varies among genotypes of the legume Acmispon strigosus, but host sanctions are uniform."